The West Bengal Joint Entrance Examination Board (WBJEE) online application form available tentatively from the first week of January 2018. 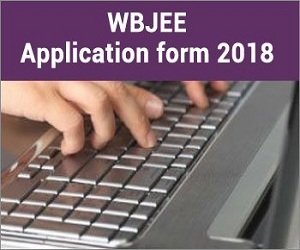 WBJEE 2018 application form has to be filled with all of the required information and submitted tentatively by the first week of February 2018. It is necessary for all candidates to successfully submit the filled WBJEE application form 2018 as unregistered candidates will not be allowed to participate in the entrance examination which will be held on April 22, 2018. Details related to the candidate’s personal, academic and communication information will have to be submitted in the application form of WBJEE 2018. Read the full article for more information about WBJEE application form 2018. The first step in WBJEE online application form filling process is to register on the official website: www.wbjee.nic.in. To register on the website, you first need to provide your details including name, father's name, mother's name, email ID, and date of birth. Once you have registered on the website, you need to provide personal details. After personal details, you need to provide additional details including nationality, address, choice of exam zones, academic details etc. After filling all the details, you will be asked to check them once again and make changes if required. 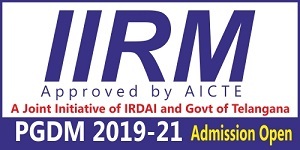 When you are sure that all the details are correct, you can submit the form. 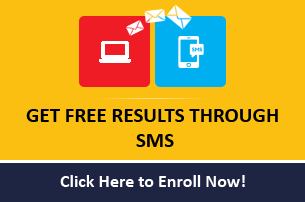 After submitting the form, an application number will be generated, which you will receive through an SMS or email. At this step, you need to upload scanned copies of recent passport size photograph, scanned signature and thumb impression. Once you click on the submit button after uploading documents, you will be redirected to the WBJEE application form fee payment tab. To complete WBJEE online application form filling process, candidates need to pay a prescribed fee. Once candidates pay the fee, they will automatically be directed to the download and printout page where they can take the printout of 'Confirmation Page'. As the confirmation page cannot be regenerated again, candidates should download the same and keep a printout for future reference. Candidates need to pay WBJEE application fee of INR 500 plus Bank's Service Charges to complete their application process. 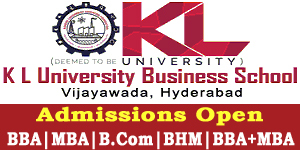 Candidates are allowed to make fee payment both in online as well as offline mode. Sometimes candidates make small mistakes in application forms which at times lead to rejection of their application forms. To minimize the chances of cancellation of application, WBJEE allows candidates to correct their mistakes. But they are allowed to do it in some specific time. WBJEE examination board will announce the dates of WBJEE application form correction, which will most probably be in the second week of February 2018. No changes or corrections will be accepted after the last date. Candidates will be allowed to change details in the application form only once a day.